Is Starbucks pumpkin spice latte gluten free? For those of you currently stood in a Starbucks (UK) with your phone in hand, hastily Googling ‘Is Starbucks pumpkin spice latte gluten free’ – the quick answer is that it doesn’t have any gluten-containing ingredients. I myself have been in the same position, trying to search this question endless times and not really coming up with a definitive answer, so if you’re in a rush, there you go, and if you’re not, well, here’s some more information for you! 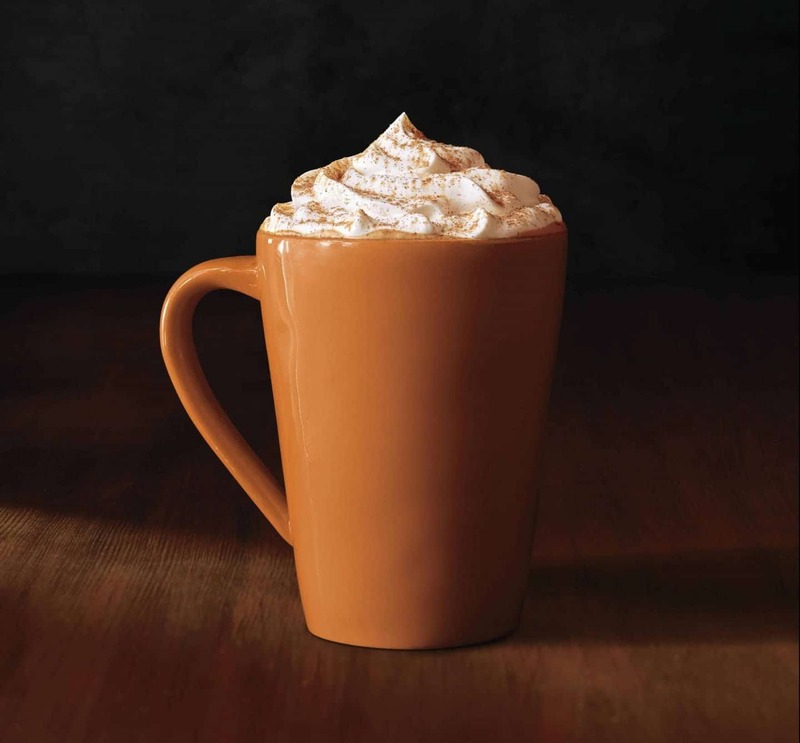 There’s always been a bit of mystery surrounding this almost cult-status autumnal drink, the pumpkin spice latte, or PSL as it’s often abbreviated. Personally, I love it. I always used to be a summer person but the return of PSL sparks an excitement of the nights drawing in, cosy evenings cuddled up watching television (let’s face it, the best TV always comes on in the winter), and baking delicious comfort food. Pumpkin spice is a bit of an American sensation which seems to be getting bigger and bigger each year. And I love it! PSL is my favourite drink (though I always have it without cream) – the sweetness, the rich spicy flavours, the hint that Christmas is round the corner – it’s just delicious. Is there gluten in a pumpkin spice latte? I can confirm that our PSL is gluten free and I have provided you with more information for your blog as well. Our Mocha Cookie Crumble Frappuccino is the only handcrafted beverage currently available in store containing gluten, all our hand crafted beverages are not made with ingredients that contain wheat or gluten. What else is gluten free in Starbucks? They also gave me a list of their current items which are gluten free, including the Holy Guacomole salad; Houmous wrap, chocolate brownie (request a wrapped product, not one from the counter); sweet and salty caramel popcorn bar (wrapped); fruit & nut bar with cranberry, pumpkin seed and blueberry; a banana (obvs? ); nut mix; roasted almonds; Starbucks golden chocolate coins; and dark and milk Fairtrade chocolate bars. There is a possibility of cross contamination with it being around other products that contain gluten. Personally, I have never had any problems drinking Pumpkin Spice Lattes, and with only one drink that contains gluten on the menu (and this is a cold drink) the element of risk in my mind is low. It’s up to you if you would decide to have a PSL, and I’d be interested to know what your thoughts are. Do you avoid Starbucks at all cost? Or do you drink their coffees? Comment below and let me know your thoughts. Hello, I am so happy to find a UK based gluten-free blogger! I was excited to read this article but wanted to add that although Starbucks said they only have the one drink that contains gluten, I am fully aware that the caramel syrup has gluten in it! Which means no drinks with caramel in it! So sad I know! Also shocked they failed to mention this!